Busy. That’s what we’ve been. And, we’re moving into the busy holiday season. Maybe that’s why a spa retreat sounds so appealing. Warm weather. An island. White sand beaches. Natural beauty. Luxury treatment. Why a spa retreat in Bali? Bali is one of the world’s most desirable paradises. And it has long been a destination for seekers of rejuvenation, meaning they know how to cater to seekers of rejuvenation. Its luxury spa resorts specialize in holistic treatments, using the healing properties of natural ingredients. Here are three Bali resort spas that are topping our list. How could you not want to go after looking at these beautiful facilities? 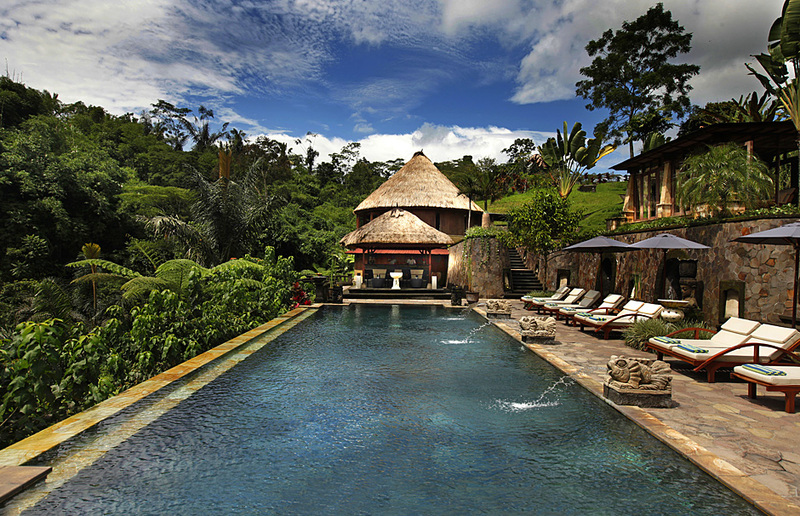 At Bagus Jati, located in Ubud, private villas overlook the tropical forest and eight have their own private spa. Highlights are the organic gardens, gourmet restaurant, and wellbeing programs. From the Bagus Jati website: “According to ancient Hindu writings Jati was where the first Hindu priest and sacred white buffalo arrived in Bali from Java. Since this time Jati is revered as a sacred place safe from the outside world.” Sounds perfect. Hidden among the lush hills of Bali’s culture-rich highlands, this exclusive resort is surrounded by lush greenery and rice fields. 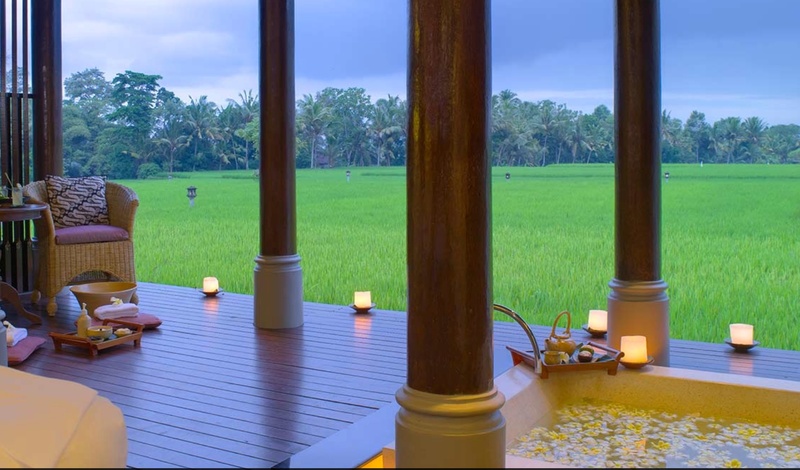 The Chedi Club at Tanah Gajah features twenty private art-filled refuges, some with their own private pool and spa. Their signature Chedi Jade Massage sounds heavenly. This private Bali resort from Bulgari Hotels & Resorts honors Balinese traditions, using native woods, indigenous stones and hand-crafted fabrics in the individual villas – each with its own pavilion and plunge pool. Their oceanfront spa offers a large menu of body-soothing treatments. And access to a private beach just sweetens the deal. As always, staying connected to friends and family back home is very important. Necessary for our peace of mind. Luckily, with the wirelesstraveler Wi-fi Calling App we can call home for free because our family all have the app on their smart phones as well. Grandma even installed it on her iPad! The best time to visit Bali is between April and early June, during the dry season. While the dry season extends to September, the months between June and September are peak tourist season and prices go up. Temperatures at any time of year range around 85 degrees; however, during the rainy season between October through March the island is blanketed with such serious humidity to make it oppressive to be out and about. We’re dreaming of a Bali spa retreat in April or May.